Baby Name Bunting is where it all started for OBIORA. We offer a range of colours and can make any name you want. All you need to do is let us know the name, colours and your address so we can post it out to you as soon as possible. 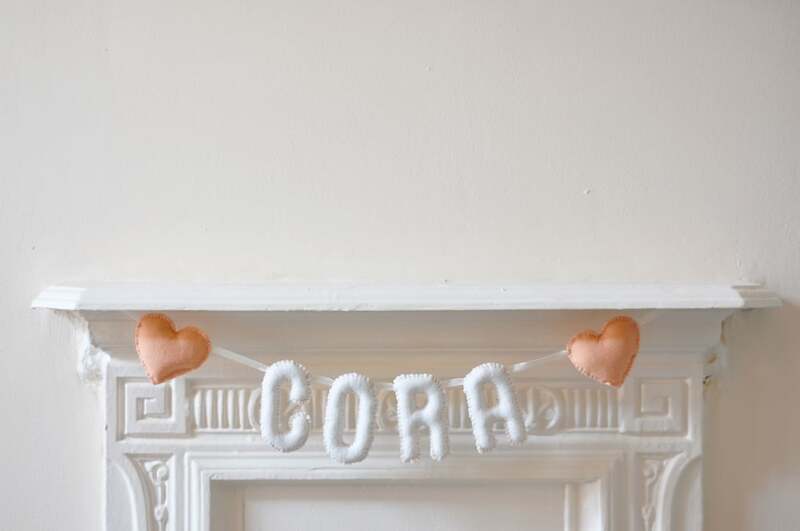 Stars, hearts and clouds for either end of the name are £3.50 (other objects can be discussed). The letter E is approx 5.5cm wide x 9cm tall. The width of each letter varies depending on the letter. The ribbon length each end of the name will be approx. 20cm. You can request a specific ribbon length if you need more/less. We can discuss all of your requirements and if there is something you'd like that you can't see on the website then don't be afraid to ask. 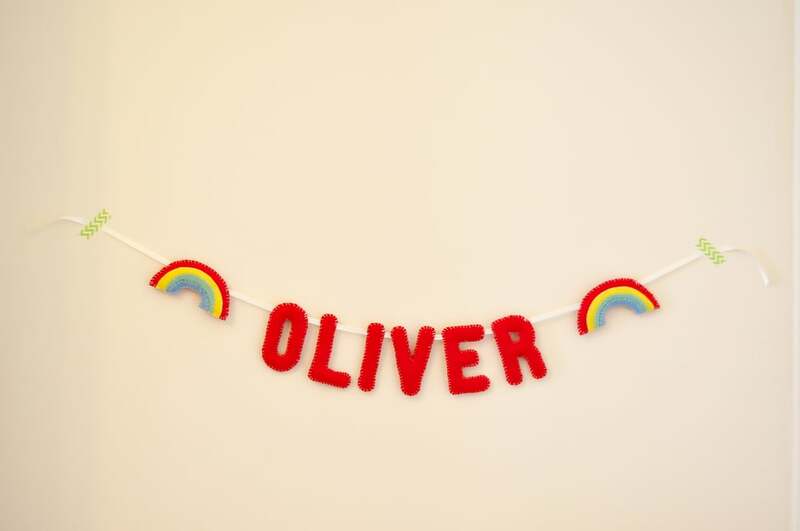 • Bunting is dispatched within 7-10 working days from when payment is received. 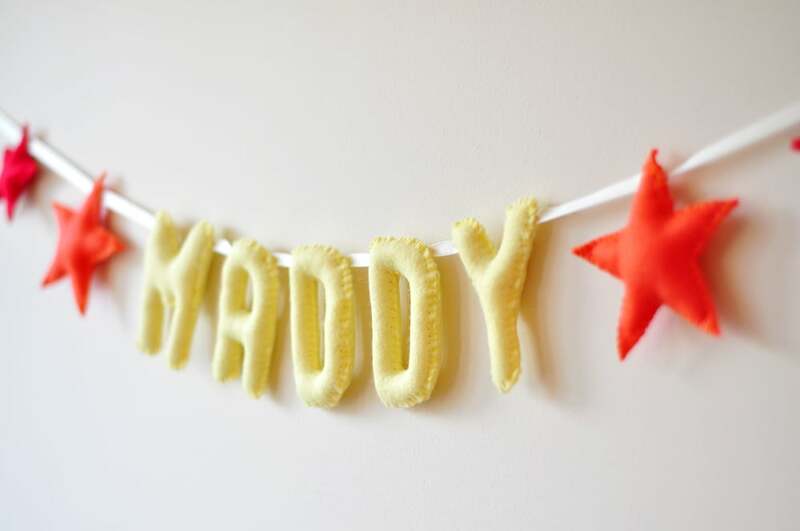 • Baby Name Bunting items are non refundable due to their bespoke nature unless they are damaged upon arrival. If this is the case, OBIORA should be notified via email within 5 days of you receiving your bunting and the item should be returned in the state in which it arrived. • Bunting is filled with non-allergenic, non-toxic, flame retardant stuffing. • This is not a toy. Please keep out of reach of children. • Colours may vary based on screen calibration and lighting.